Did Maxine Waters' Office Doxx GOP Senators During Kavanaugh Testimony? Update: On Saturday afternoon, Maxine Waters said she is "utterly disgusted by the spread of the completely false, absurd, and dangerous lies and conspiracy theories that are being pedaled by ultra-right wing pundits, outlets, and websites who are promoting a fraudulent claim that a member of my staff was responsible for the release of the personal information of Members of the United States Senate on Wikipedia." So who did it then? Waters concludes by saying that she will "ensure that the perpetrators will be revealed, and that they will be held legally liable for all of their actions that are destructive and dangerous to any and all members of my staff." 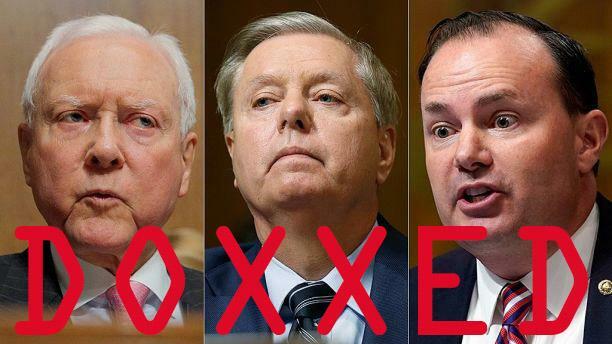 The personal information of Republican Senators Lindsey Graham, Mike Lee and Orrin Hatch was posted to Wikipedia Thursday during the hearing of Supreme Court nominee Judge Brett Kavanaugh. 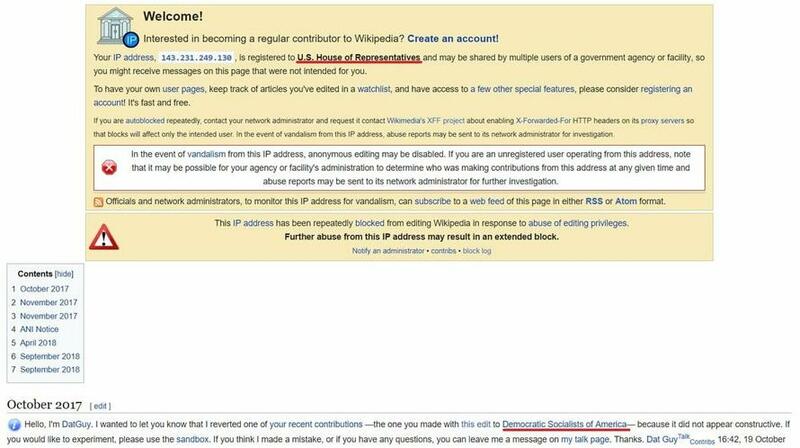 The information, which included home addresses and phone numbers, was posted to the senators' respective Wikipedia pages where users are allowed to make edits - all of which are logged by Wikipedia and include the editor's IP address. Upon further research, it appears that the IP address traces back to the office of Rep. Maxine Waters (D-CA). If this is true—and Maxine Waters’ staffers doxxed several GOP Senators yesterday on Wikipedia—there should be hell to pay. Waters has already called for direct action against GOP. Waters has come under fire for advocating that her Democratic followers form into mobs and physically confront members of the Trump administration if they see them in public. The Democratic Rep. - who doesn't live in the district she represents and paid her daughter $750,000 for Democratic fundraising activities - said to a crowd at a "Keep Families Together" rally on Saturday: "If you see anybody from that Cabinet in a restaurant, in a department store, at a gasoline station, you get out and you create a crowd and you push back on them, and you tell them they’re not welcome anymore, anywhere." Waters' call to action came amid protests at the homes of Department of Homeland Security Kirstjen Nielsen's house, as well as White House aide Stephen Miller's apartment, which makes the doxxing of GOP Senators all the more significant - especially if it came from Waters' office. White House spokesman Raj Shah wrote on Twitter that the leaked information was "outrageous."